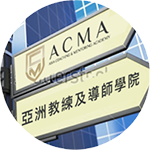 ACMA and Chris & Partners, members of the InVision Group, are specialized in providing professional services in corporate training and corporate coaching to enterprises in the Greater China, and facilitating enterprises to apply scientific and effective management tools to create pinnacle of success. ACMA and Chris & Partners inherit years of successful experiences and abundant resources from InVision Group, through experienced corporate trainers and ICF Certified Professional Performance Coach Team, to facilitate entrepreneurs and management to develop high efficacy leadership in managing teams, integrate and utilize corporate resources, and promote rapid expansion and growth of enterprises. ACMA and Chris & Partners also provide CEO coaching and corporate coaching services for top executives and management in large, medium and small enterprises, assist enterprises develop excellent leadership team, build stable sustaining development pillars. Furthermore, in combination with diversified corporate training tools, like through Emergenetics that apply research-based science of thinking and behavioral preferences, we assist corporations to drive performance by helping individuals and teams leverage their strengths to improve essential business functions. The Power of WE is our innovative training series that lead to more effective capitalization of human assets – regardless of productivity, leadership, strategies, attitude or team collaboration. To cater for the needs and culture of various enterprises, Chris & Partners can incorporate flexibilities into corporate trainings like rope courses or other indoor/outdoor team building corporate programs, to facilitate individual breakthrough and building teams, to enhance collaboration, communication, trust, motivational levels, and job satisfaction, leading to personal and organisational success. Upholding the mission of 『Building on Your Value, Creating the Future of Your Business』, ACMA and Chris & Partners anticipate to assist you and your enterprise to achieve your goal, walk together to build the future of prosperity and create sustainable success! Address：Room 201, Tower I, Phase I, Enterprise Square, 9 Sheung Yuet Road, Kowloon Bay, Hong Kong.